The bane of outdoor weddings: a rainy day. But it doesn’t have to be! In fact, I have a secret to share, at the risk of having the heavens open on my wedding day, rain wedding photography is some of my favorite. I can’t believe some of the gorgeous photos I have seen of rainy day weddings. The biggest advice anyone gives to those of us who are planing an outdoor wedding is to PLAN AHEAD. If you want to get married outdoors, you have to be open to the possibility that there are things you cannot control, like the weather. Have a rain plan. Spend the extra money for a tent, or rent a place that has the option for you to move indoors if you need to. On your wedding day you can look outside and make the call that day. The first thing you should do, before you even set a date, is do your research. Find out which months of the year are the wettest for your region. Don’t pick a month where the weeks are historically cloudy and rainy. Then, in the week before your wedding, check weather reports so you know what to expect. I can probably see myself excessively checking the forecast, so advice to future me (and you), don’t check obsessively…you could make yourself nuts. 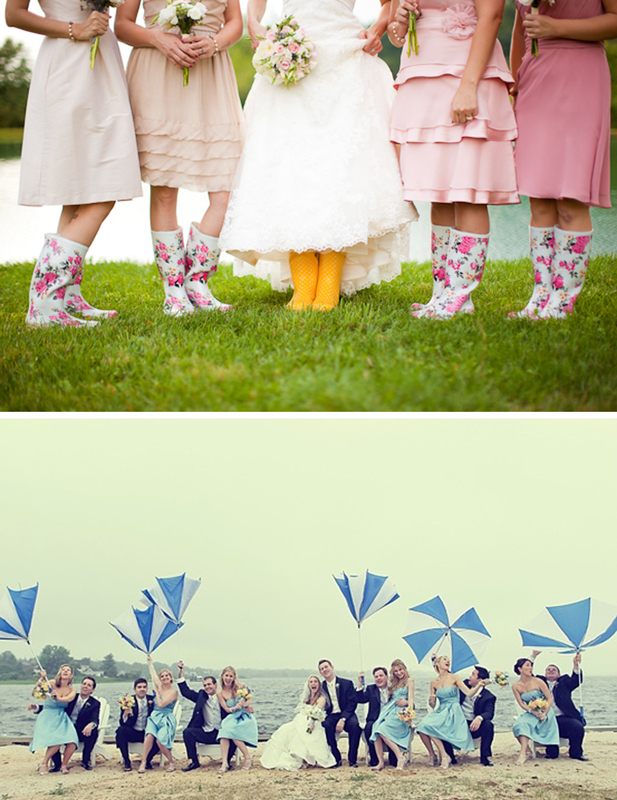 If you have your heart set on a rainy month, plan ahead for you and your bridesmaids to look super cute, even in rain! Get some really cute and colorful umbrellas or galoshes! Rain does not make for a horrible wedding, it just makes for a different wedding! 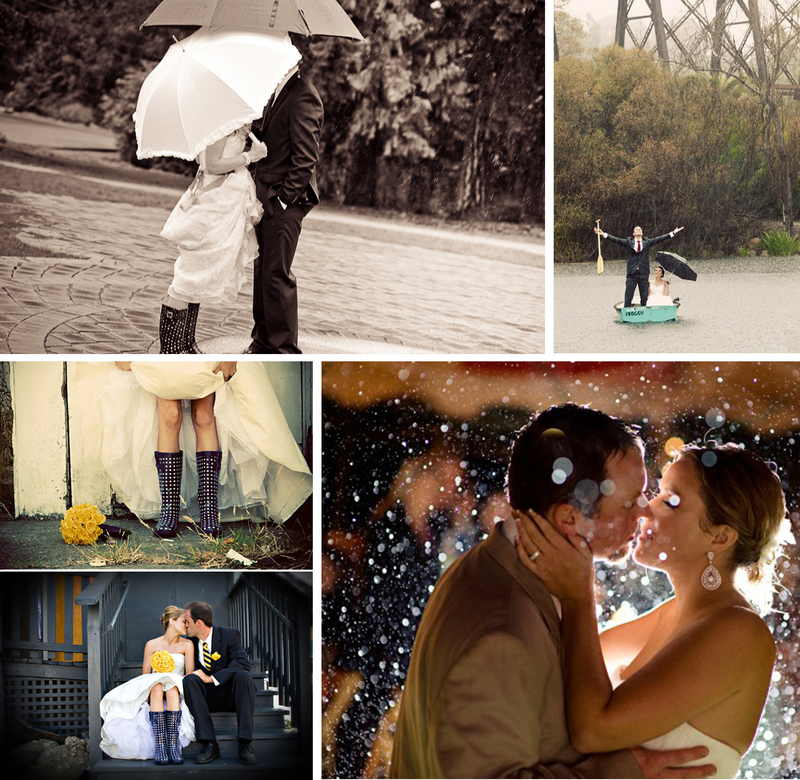 Use your creativity and keep doing research on how to make a rainy wedding a fun one for you and your guests! To get you started on your research, here’s your rainy day inspiration!